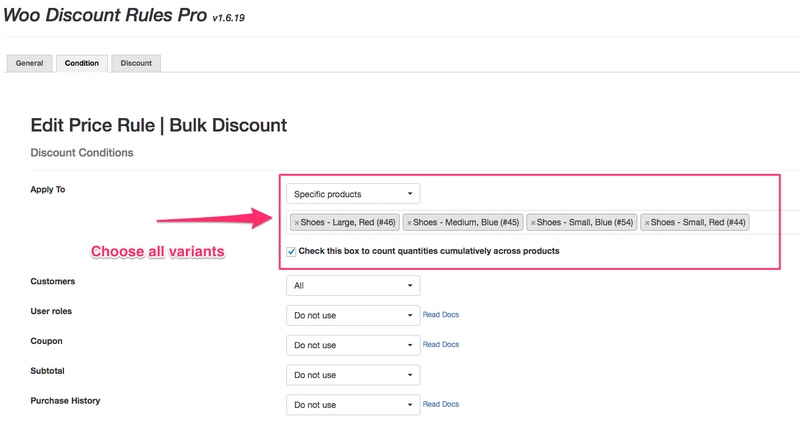 Bulk purchase discounts are a very common discount scenario in most online stores. All these three scenarios can be handled through Woo Discount Rules. 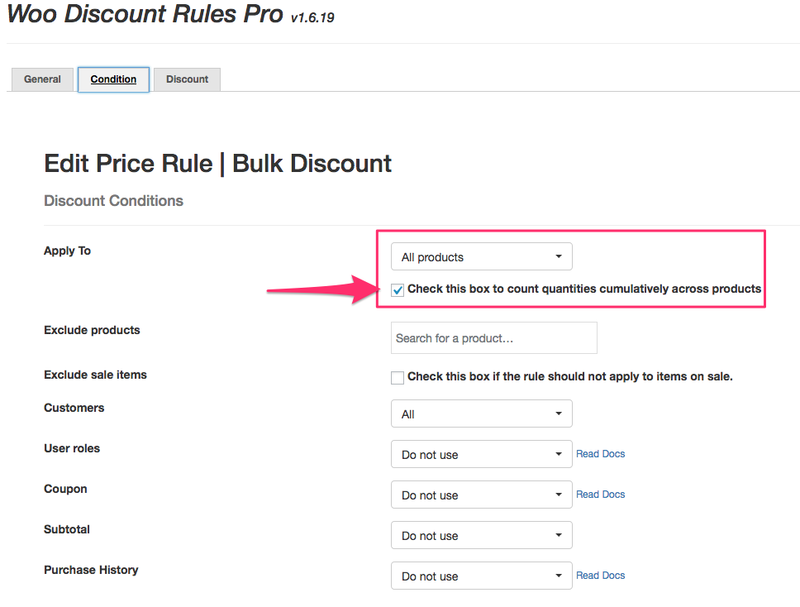 NOTE: This guide only deals with "Percentage Discounts"
Choose the "Quantity based method"
You can enter any value under the Rule Name and Rule Description. Since this is a store-wide discount, i choose the "All products" condition. 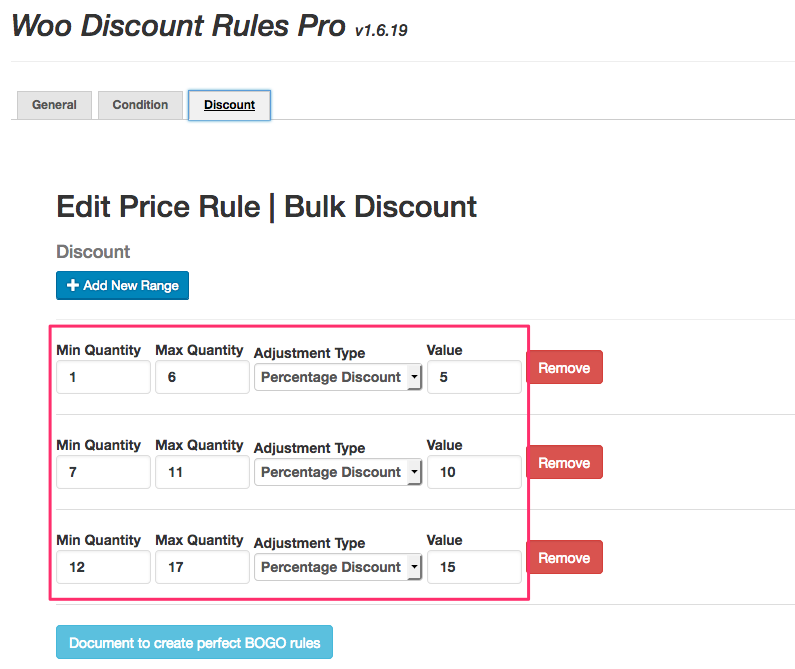 TIP: When you provide tiered discount, always use the adjustment type as: "percentage discount." NOTE: I have configured only three tiers. You can configure unlimited tiers depending on your requirement. Sometimes, you may want to provide discount only for specific categories. While rest of the settings remain the same, the only change will be in the conditions tab. You can select one or more categories. NOTE: Make sure you check the box to count cumulatively across categories. On a few occasions, you may want to offer a bulk purchase discount only for one or two products in the store. In this case, the condition tab changes slightly. 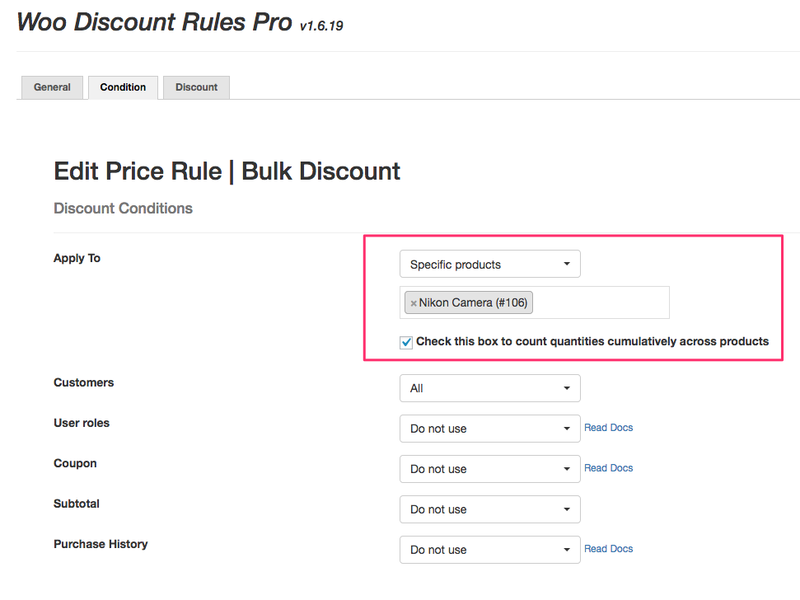 In the above case, the bulk discount tiers will appear only for specific product - Nikon Camera. Read the tutorial carefully as chances are that you might miss a step! Let us say, you are selling a T-Shirt. Each variant is considered a separate product and stored as a separate record (though all comes in one page). T-Shirt - Yellow = Yet another product. So there are 3 sub-products inside a product. 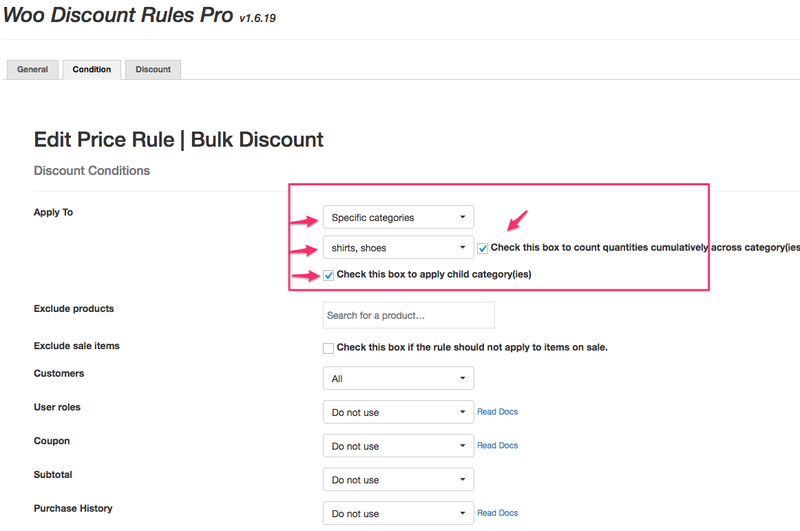 When you create a bulk discount rule for a variable product, make sure you choose All the variants in the conditions. In the above screenshot, i choose all the variants of the Shoes product and ticked off the Checkbox to count across.